This content was published: September 27, 2012. Phone numbers, email addresses, and other information may have changed. PCC’s student leaders are hard at work registering voters for the Nov. 6 presidential election. 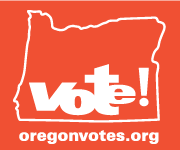 Voter registration forms can also be picked up at PCC Libraries, Bookstores and Registration Offices. Or, simply visit the Secretary of State’s Elections website.